Saint Lucia’s newest adults-only luxury all-inclusive resort, Serenity at Coconut Bay, has partnered with Air Canada Vacations (ACV) launching an exclusive Aeroplan Miles promotion. Members earn up to 10,000 bonus Aeroplan miles per couple for a seven-night flight-inclusive stay booked now through June 30 for travel through Dec. 20. ACV air-inclusive packages to Serenity start at $3,639 per person, based on double occupancy, for a one-week stay. Bonus Aeroplan Miles earned per couple are based on the suite category booked: 3,000 miles for the Plunge Pool Suite; 5,000 miles for the Premium Plunge Pool Suite; 10,000 bonus miles for the Grande Plunge Pool Suite. 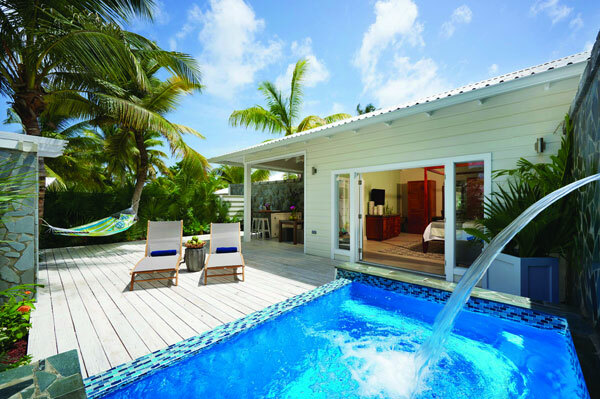 A stay at Serenity at Coconut Bay includes butler service, in-suite dining (if desired), 24-hour room service, and a weekly Chef’s Table prepared by renowned local chef Aunty Debbie at the Greathouse Restaurant.